Flowers add the finishing touch of elegance, fragrance, and romance to the wedding scene. Flowers, plants, and herbs have been used as part of the wedding process since the beginning of recorded time and has been used for love and well wishes for those involved in the wedding. Flowers with their natural inborn beauty symbolize life, growth, and rebirth. Flowers have been a major player of wedding tradition in America since the early days of the country. Today there are thousands of florists located across the country and a good portion of them are very involved in weddings. These florists, order flowers from across the globe, they create beautiful arrangements for the bride and beautifully decorate wedding venues to enhance the wedding ambiance of the wedding event. There are thousands upon thousands of flowers in the world as well as many varieties of flowers in the world. It's amazing that life can create such beauty, you take a seed, some dirt, some water, and some sun and mix these simple things together and out bursts a flower of impeccable beauty. The most popular flowers used for wedding are carnations, daisies, irises, lilies, roses, and tulips. In weddings though, thousands of flowers have been used representing every color of the rainbow. The first thing you should do before beginning your flower hunt for your wedding, you should contact your church, chapel, ceremony site, and reception venue to check whether they have floral restrictions or not. You should also check if a venue has natural décor to see if it would conflict with a color scheme you would decide for wedding. Some wedding venues have restrictions in floral usage, some require you to use their own decorator or florist. Some venues allow you to use a florist but you must use a florist from their preferred list. If you find there are no impediments for choosing a color scheme for your wedding you should consult with a color wheel to know what colors would look good with each other. 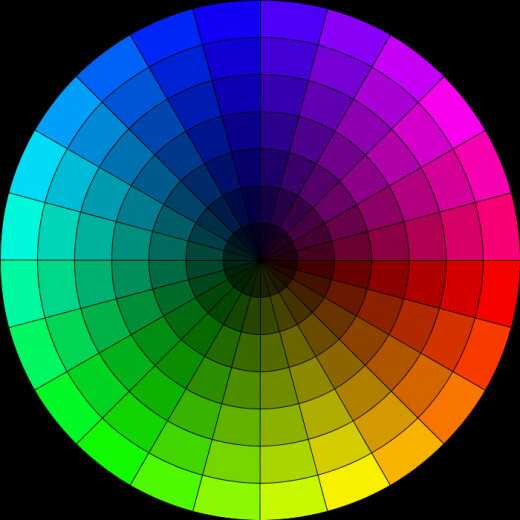 With a color wheel, you select what color you want to go with and you can use surrounding colors that are a shade difference that would also meld well with your select color. You can also go with opposites attract colors, red with green, yellow with purple, blue with orange, and black with white. 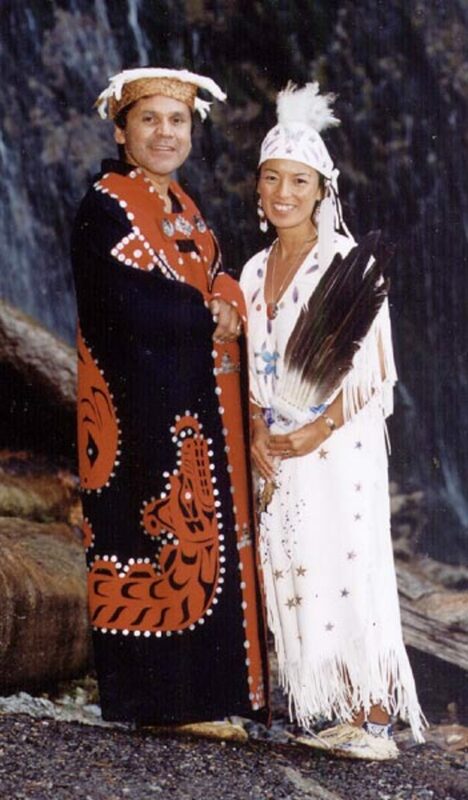 All colors can be melded with white also. The other thing you want to consider when choosing flowers, especially if you have a limited budget, choose flowers that are grown locally and in season. Flowers you order for a wedding have varied costs. Any flowers you order will have shipping costs and demand for a particular flower also goes into a flower's cost equation as well as overhead costs for a florist. If you choose flowers that have to be special ordered from the west coast or from another country, those flowers would likely encounter significant shipping costs. When you order flowers, you should try to order flowers that are in season and local at the time of your wedding. For example some spring flowers are amaryllis, anemone, daffodil, lily of the valley, and orchid. Good summer flowers are anthurium, carnation, chrysanthenum, rose, and sunflower. Some good autumn flowers are agapanthus, aster, clematis, diasy, and hydrangea. Good winter flowers are camelia, euphorbia, iris, pansy, poinsettia, showdrop, and tulip. At many weddings, a bride chooses a color scheme, often the color scheme starts out with the choosing the color of bridesmaids dresses. The color scheme then is applied to many other facets of the wedding including table linens, wedding décor, and wedding flowers. A few brides may begin their color scheme search by finding a bridal bouquet they just love and choose wedding colors based on the bouquet. 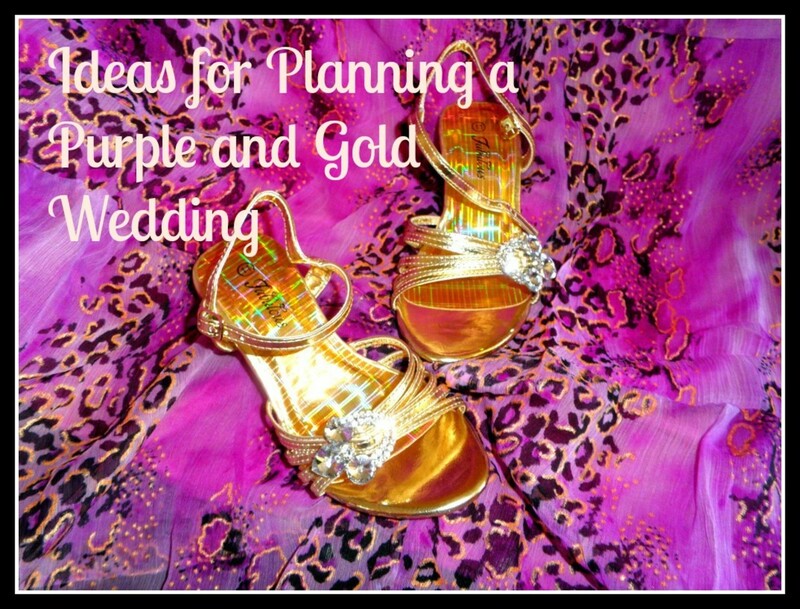 In recent years, brides have created an inspiration board and then choose colors based on what they find often online trying to match patterns and colors that go well together they see from wedding vendors. Many brides use an online system called Pinterest or Instagram to create inspiration boards for ideas. Always when looking at things for weddings have a notepad and pen handy, write ideas down while things are fresh in your mind, lest you will forget things if you jot things down later. You want to look for flower ideas by looking at many wedding sites online and by looking at magazines. Look at flower, bridal, catering, and wedding venues and not only look at the subject matter of the article but look at the flower arrangements in the background, how are the flowers displayed and do you like the display. You could also spend a day or two stopping by local bookshops, newsstands, and libraries and gather flower designs there too. There are also a number of good national companies in which you can get flower ideas from. Some of the more reputable companies are www.wedding-flower-and-reception-ideas.com , www.bhg.com (Better Homes and Gardens) and www.afloral.com . Whenever you see any floral arrangements you like either cut the picture out or print out the picture and place all pictures of flowers into a baggy. You then can staple the baggy inside a wedding organizer, wedding planner, or loose leaf binder to keep flower ideas all together. In some instances, you can create a photo album on your computer or mobile device and capture flower pictures there. Sometimes, you might have to note the name of the book or magazine and write down the page number you found a beautiful flower design or what website address where it was found and where inside the website you found it. If your thinking about using a florist for your wedding, you should target about interviewing 3 or 4 wedding florists before deciding who to book. If you have a mobile device, you can download a wedding planning app from your apple store, and you can find vendors using your iPhone, iPad, or Android device. One new company that just came out is called Wedding Selections, look at your Apple store for their download. You can also find good wedding florists from online wedding directories, some of the more reputable ones are www.mywedding.com , www.weddingwire.com , www.theknot.com , www.perfectwedding.com , www.decidio.com , www.gatheringguide.com , and www.eventective.com . You can also find wedding florists using a search engine, inputting a city and town followed by "wedding florist" or "wedding flowers". Be sure any florists you find be sure they handle weddings, if you don't see weddings anywhere on the website, there is a good chance they don't do wedding flowers. You can also ask family, friends, wedding vendors, and recent brides if they can recommend any florists. Don't take someone else's word, a florist's have their own style, is their style a style you like? Be sure to interview them. 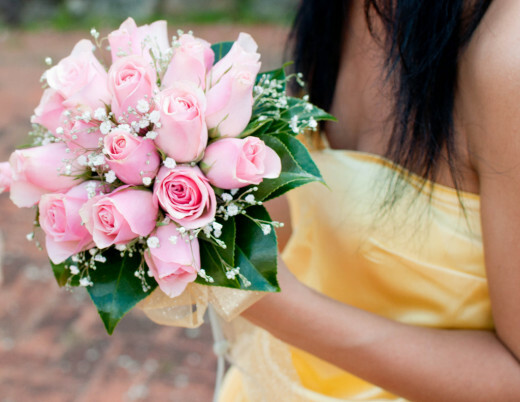 You can also find wedding florists using the Yellow Pages. Before meeting with a wedding florist you should gather some information together. First of all you should know your wedding flower budget. 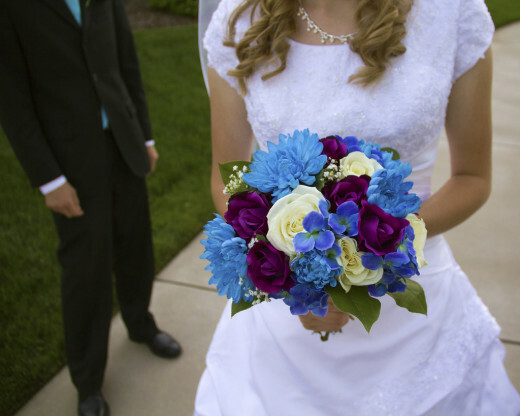 Typically wedding flowers are about 8% of a total wedding budget. It could be a little more or less and depends on how much you plan to use flowers in your wedding and whether the florist is going to be your venue decorator too. You also need to provide the wedding florist the location, date and time of your wedding, and where the wedding ceremony will be and where the wedding reception will be. You should also have an idea of how many bridesmaids and groomsmen will be in your wedding party and if you plan on a floral wedding reception centerpieces, how many tables you think you might have at your wedding. You also want to provide names and phone numbers and email addresses of your ceremony and reception contacts, so they can connect. Provide the contacts only after booking though! The florist also needs to know your color scheme, if you have decided on one. You also should give your wedding flower budget, give them a range with your high end being your wedding budget and your low end being 10 - 20% less than your budget. Also before meeting with a wedding florist, it is wise to educate yourself a little in the world of wedding bouquets. First know that wedding flowers can be ordered locally and flowers have a season. 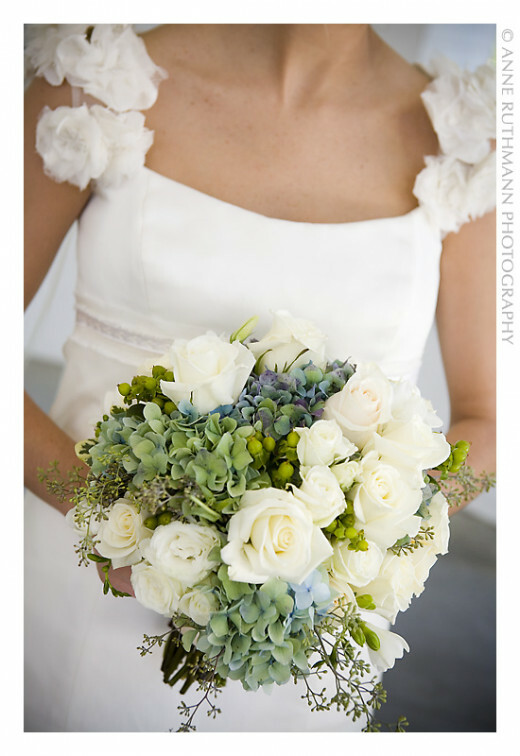 Also look at pictures and get familiar with some of the names of the bridal bouquets. Some of the bridal bouquets you should look up are posy bouquet, the biedemeier bouquet, nosegay bouquet, tussy-mussy bouquet, arm sheaf or presentation, composite-flower bouquet, the fan bouquet, the crescent bouquet, the muff bouquet, shower or kissing ball bouquet, the prayerbook banquet or bible spray, the wrist bouquet or flower bracelet, the scepter bouquet, the ballerina bouquet, and the cone bouquet. If the wedding florist hears a little flower terminology from you, they may be less likely to take advantage of you if you appear to know wedding flowers. What some wedding florists do sometimes, they will make you think flowers are shipped long distance and charge you for long distance shipping when in fact the flowers were found locally, and pocket the difference in costs. When you first meet with a wedding florist, at first it's generally a get to know you session at first. You want to provide the florist a high level vision for your wedding and give them a few details about the wedding including wedding locations, how many guests you are planning to invite, how many reception tables, decorating plans for the ceremony site and reception and how many bridal party members you plan to have. After giving your overview, you want to get an idea of how the wedding florist operates, let them give their spiel of an overview of how they do their business. It's a good idea to bring questions, you want to learn about how the florist is run, how many employees they have, how much training they have, you want to learn how they communicate and how often they communicate. 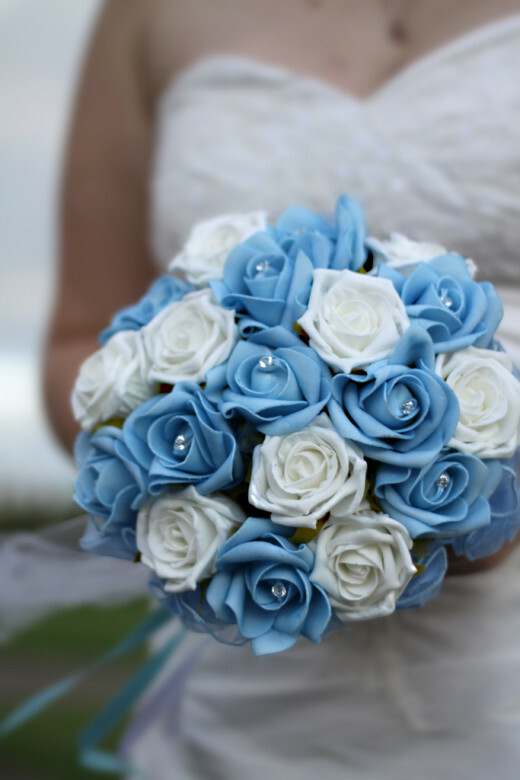 You want to find out what flower products for weddings do they offer. You want to find if they offer a style that you like, can they offer you what you want that fits into your budget and are you comfortable with each other. At your meeting with a wedding florist, bring your picture baggy's along, share your flower ideas and usually a good wedding florist have binders and binders of flower decorations. You might get some ideas of wedding flowers as well. When the florist shows you pictures, make sure the florist shows you pictures of wedding bouquets, wedding flowers and floral designs they have created themselves. You need to know what they are capable of creating themselves and not look just look what others created. The thing to know when a wedding bouquet is created. A bouquet is usually comprised with an "anchor flower". The anchor flower is a flower with a strong structure with bolder blossoms and is the primary flower for which the bouquet will be built around. Around the anchor flowers the florist will usually add some "compliant flowers". These flowers are more of a supporting role in the creation of the bridal bouquet and flower arrangements. Sometimes greenery is added and plays a supporting role as well. 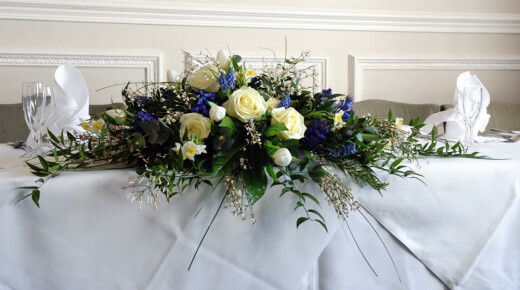 The good wedding florist has taken classes of wedding flowers, what flowers go well with other flowers. What colored flowers go well with each other, what shapes of flowers go well with shaped flowers, and what texture of flowers go well with each other and what sizes of flowers should be near each other. Floral arrangements often should have a dome shape. 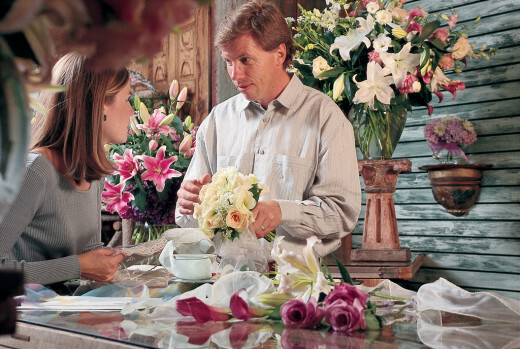 When it comes to wedding florists, many run their flower businesses differently. Some wedding florists will have a number of meetings with clients. They discuss ideas and check into possibilities and they meet back and come to an agreement on a finished product. They create one small floral arrangement and get the clients agreement before creating the wedding bouquets and floral arrangements on a massive scale. Some wedding florists have a one time meeting with their client and choose wedding products out of a binder and fill out a form checklist marking down floral products wanted. Other florists come up with a basic floral design. Flowers are special ordered, you might not know the floral design until the flowers are picked up or delivered. This type of florist gets your vision and runs with it. Ideally you want to choose a florist who is knowledgeable, thought provoking, and accommodating. A florist who has your sense of style and who is more helpful than dictatorial. Be mindful, some florists will use sales pitches to get you to upgrade to more expensive bouquets and floral arrangements. Your best bet is to let them give their little spiel but in the very end, especially if budget is an issue, forget about the extras, upgrades and special discounts, only order the flowers you really want and need for your wedding. What happens with florists sometimes, you think you have an agreement on a floral arrangement that captures your fancy. Then comes the wedding and wedding flowers get picked up or delivered, you find the floral arrangements come out totally different that with what you were expecting. Things happen with florists. The flower order put in did not arrive on time, then the florist switched to a plan B. Sometimes there is a mix-up between the florist and supplier. Sometimes the florist had run out of time to create the bouquet or arrangement and had to create a quick cut arrangement. Sometimes the florist had an inspirational idea and changed the arrangement. Sometimes the finished product becomes a major disappointment. But what happens sometimes, the finished product ends up being more beautiful than the original model. Make sure you find a wedding florist you are comfortable dealing with. If you want to be specific with a florist, make sure everything is laid out in detail in a contract. Also bring a witness, another bridesmaids, a sister, your mother, a brother, or a wedding planner along when you sign a contract with your florist. They are both a witness and an extra set of eyes to look over the contract. Some brides are detail oriented, and some brides are not so specific as long as the flowers come out beautiful. Once you have decided on a flower design for your wedding. Many wedding florists provide the bride with a checklist of flower and arrangement choices she might consider for her wedding day. What a bride orders often depends on her wedding budget for wedding flowers. There is only one flower choice she absolutely needs for her wedding and that is the bride's wedding bouquet. First up are the bouquets. The bouquets a bride would consider ordering is the bride's bouquet, a throw away bouquet for a bridal throw, bridesmaid bouquets, and then the maid-of-honor bouquet which tends to be a little more elaborate than the bridesmaid's bouquets. At many weddings, there is a bridal hierarchy. The bride's bouquet is supposed to be a large bouquet and decorated very lavishly. 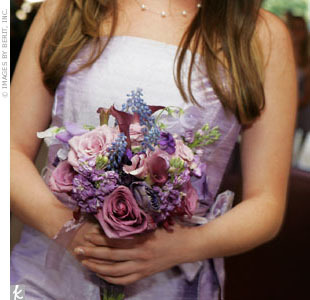 The maid-of-honor's bouquet is suppose to be a little smaller than the bride's bouquet, is beautiful but not as lavish. The bridesmaids bouquets are smaller, beautiful bouquets, but decorated not as lavish as the bride and bridesmaids bouquet. Next up, attention shifts to the groomsmen. The groom and groomsmen typically wear a boutonniere, which is about a 3 inch stem flower that pins to the left side of a groomsmen's tuxedo or suit jacket. Boutonnieres are often ordered for the groom, best man, groomsmen, and sometimes ushers for the wedding ceremony. Boutonnieres are typically not ordered for the ring bearer but can be. Boutonnieres could be ordered for non-bridal party males for the wedding. They are sometimes ordered for the bride's father/stepfather, groom's father/stepfather, bride and groom's grandparents, any godfather, male candle lighters, readers, soloists, and other males you wish to honor. You must not forget the flower girl. 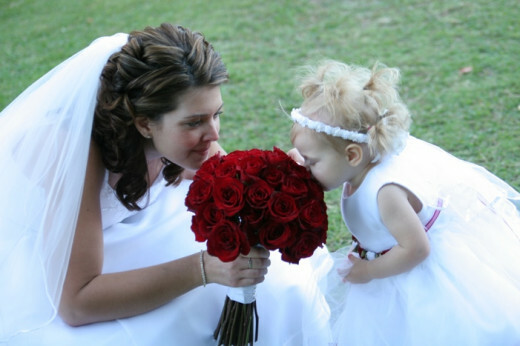 For the flower girl you need to order a flower basket and also order lots and lots of flower petals to fill the flower basket. A little side tidbit, if you don't get a good deal on flower petals from your florist, you can often pick up flower petals from the floral department of a local supermarket and save yourself a bit of money. A local flower garden or a greenhouse is an option too. 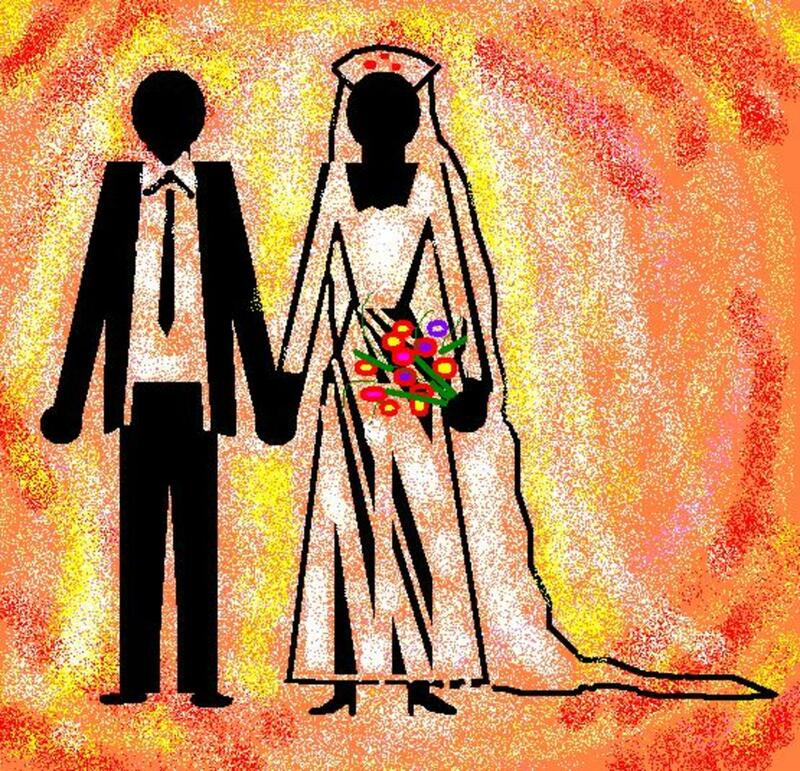 For your wedding ceremony in a church, you might order flowers for the alter, flowers for a chuppah, or create a flower design using a candelabra or candlestick holder. You might include flowers to decorate pew bows. altar railings, bannisters, windows, empty spaces, and your ceremony entrance way area. You might place flowers or plants in vases on every other step leading to the church front door. Always check with your ceremony site if they have any floral restrictions. Flower arrangements you might consider at your wedding reception. You might have a flower centerpiece or floral arrangement in the middle at every reception table. You might have a flower arrangement in front of the bride and groom's seat at the head table. Sometimes altar flowers from a ceremony site is also used and moved to decorate the head reception table. Many couples will also have a floral centerpiece to decorate book ends of the head table. Flower petals are sometimes scattered on the wedding cake. Couple's sometimes place flower petals, flower arrangements or flower vases at the cake table, guestbook table, buffet tables, gift table, place card table and a flower decorative piece in front or inside restrooms. If you are having an outdoor wedding, you should think about decorating arches, arbors, gazebos with flowers, greenery, garland, ribbons, ribbon bows, and white string lights. You might consider lining a wedding aisle with flower petals, or you might scatter flower petals on the aisle, or create a bed of flower petals as the aisle. You might decorate a wedding aisle with a floral arrangement at every other aisle row. You might place hanging flowers or floral balls to decorate an aisle. 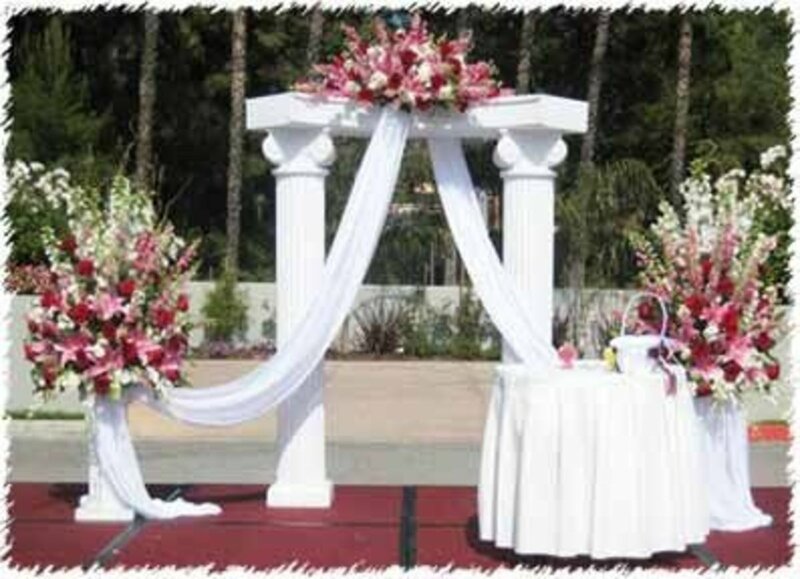 You could also place an arch leading to your ceremony site and decorate the arch with a string of flowers or greenery. Many brides will create floral wreaths for their hair, or wear a single flower or wear a rose petal in their hair. 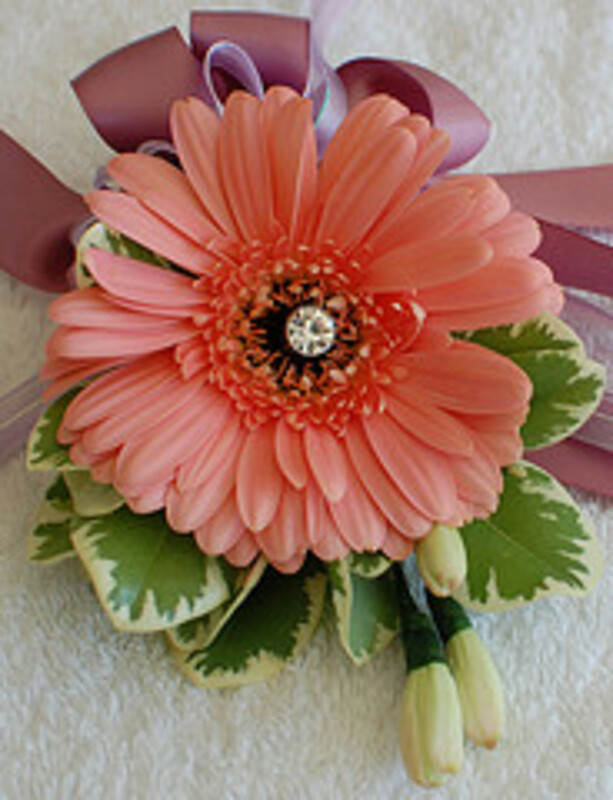 Some brides create a wrist corsage for the bridesmaids as opposed to a pin-type corsage or small wedding bouquet. The wedding florist might be a great resource for other wedding needs too! They might also offer aisles runners, candles, candle holders, candelabras, candlesticks, trelises, water beads, potted plants, arches, arbors, lighting, vases, and a lot of other garden supplies. You might need to put your florist in contact with your wedding venues and your decorator too! When you meet with your florist you also need to address flower delivery. Some florists will deliver and set up all your floral products, some will deliver but not set up, and some will require you to pick up all floral products at the shop. Whoever is delivering your wedding flowers make sure it is an individual who is responsible and experienced at transporting flowers. You don't want someone transporting flowers who doesn't secure flowers in the vehicle well or having arrangements or vases flip when the vehicle goes around a bend. Some florists are naturally gifted in creating beautiful bridal bouquets and floral arrangements and some create a floral product that looks more busy than beautiful. You want to be sure you have chosen a florist who is gifted in the floral arts. For a wedding, find a florist who has lots of training in floral design, who you are comfortable dealing with, a florist who has your sense of style, and one that has shown to you they can create a beautiful floral product. If your flower budget is tight you might consider creating your own bridal bouquets or floral arrangements. You might consider taking floral design classes or you might teach yourself how to make flower products using Youtube videos or by learning from flower websites online. You might even grow your own wedding flowers, find a flower design you like, make sure they can grow in the soil in which you live, and pick up the seeds you need and learn how to grow them. If you grow and make your own bridal bouquets and floral arrangements you surely will impress all your wedding guests if you make a beautiful product. Another thing you can do if costs are an issue is to create handmade flowers arrangements. You can get some ideas from Youtube videos on how you can create beautiful paper flower décor or you can stop by an arts and craft store and some of the experienced store employees can show you how to create a number of beautiful flower products. Some projects entail folding magazine pages and spray painting, other projects entail using the art of orgami and folding paper a certain way. Some of these projects entail decorating by adding beads, pearls, crystals, and styrofoam balls. Below are some of the flowers that you can use to make your bridal bouquets and floral arrangements. If you want your bridal bouquet or flower arrangements to be white, some of the flowers you might consider are calla lily, camellia, carnation, china mum, chrysanthemum, daisy, dahlia, euphorbia, gardenia, genesta, gladiolus, gypsophila, hosta, hydrangea, iris, jasmine, kale, lily, lily of the valley, magnolia, narcissus, orchid, pansy, paper whites, protea, snowdrop, stephinotis, sweet pea, and white roses. If you want your bridal bouquet or flower arrangements to be pink, some of the flowers you might consider are anthurium, boronia, carnation, chrysantemum, clematis, daisy, lily, nerine, passion camellia, peony, pink rose, protea, ranunculus, sweet pea, and tulip. If you want your bridal bouquet or flower arrangements to be red, some of the flowers you might consider are amaryllis, anthurium, bouvardia, camellia, carnations, chrysanthmum, dahlia, euphorbia, geranium, gerbera, pansy, poinsettia, protea, red rose, tulip, and zinnia. If you want your bridal bouquet or flower arrangements to be orange, some of the flowers you might consider are agapanthus, alstroemeria, carnations, daffodils, gerbera, poppy, small ranunculus, and spray roses. 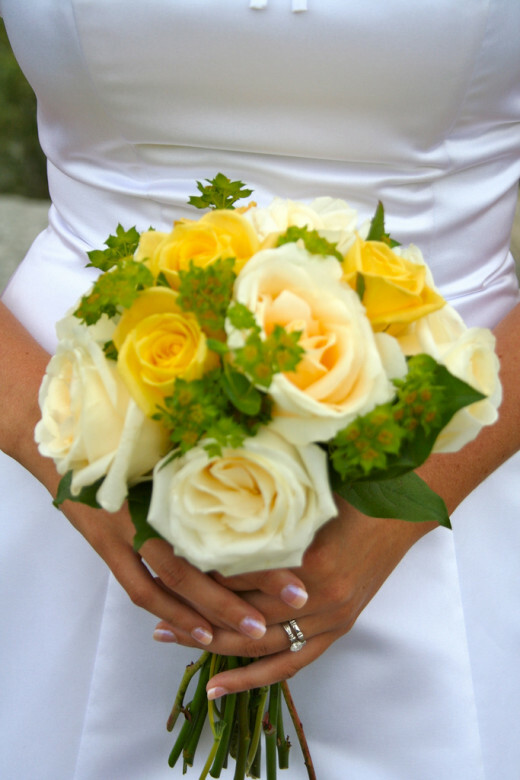 If you want your bridal bouquet or flower arrangements to be yellow, some of the flowers you might consider are chrysanthemum, daffodil, daisy, euphorbia, freesia, gerbera, lily, pansy, ranunculus, sunflower, tulip, and yellow rose. If you want your bridal bouquet or flower arrangements to be green, some of the flowers you might consider are chrysanthemum, carnation, cymbidium orchid, daylily, gerbera, gladiolus, green carnation, green rose, hellebore, trick dianthus bells of ireland, and zinnia. For a green bouquet or flower arrangements you might want to add white or gold flowers or embellishments to go with the green. If you want your bridal bouquet or flower arrangements to be blue, some of the flowers you might consider are agapanthus, anemone, aster, blue rose, clematis, cornplower, delphinium, dyed-blue bom dendrobium orchids, geranium, hosta, hydrangea, iris, orchid, pansy, scabiosa, succelents, thistle, tweedia, and velvet rose. 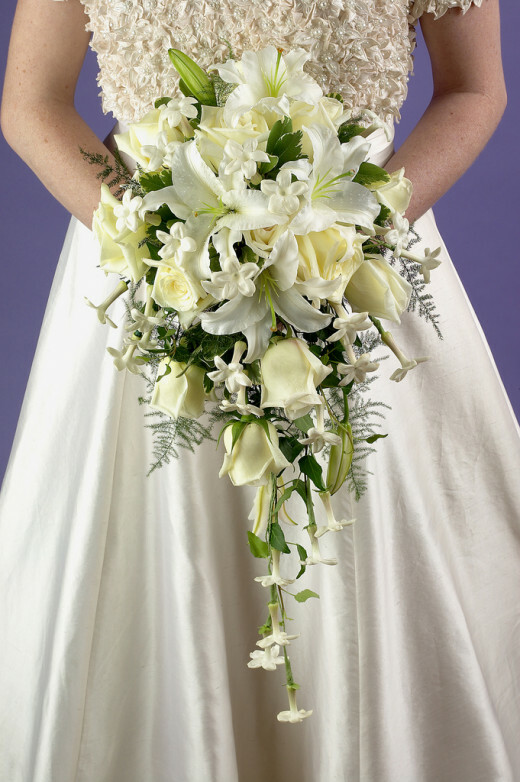 If you want your bridal bouquet or flower arrangement to be purple or lavender, some of the flowers you might consider are agapanthus, alstroemeria lilies, anemone, aster, black calla lily, clematis, daisy, delphinium, gentian, gerbera, hyacinth, hydrangea, larkspur, lavender, lilac, lisianthus, magnolia, orchid, purple pansy, peony, statice, sweet pea, and tulip. Also with purple or lavender flowers you might want to add flowers or embelishments that are white, cream, silver, and green. There are thousands of varieties of greenery that can help decorate your bridal bouquet or flower arrangments. Some of the common greenery used are beargrass, boxwood, cocculus, eucalyptus, flat fern, grapevine, green ivy, huckleberry, lycopodium, magnolia, pine cones, pittosporum, polyvore, robellini phoenix, ruscum, sago palm, scotchbroom, and song. There is a secret weapon out there for brides planning a wedding. This secret weapon is a rental services company, it allows you to pick up supplies you are short on and beautiful your wedding space. How Much Do Wedding Flowers Typically Cost? This arrangement is so orgianil and beautiful in color, very natural. It reminds me of the beach and the wonderful scent of flowers just looking at this photo.A whole new meaning to the concept recycle . It's a great idea to consult with a florist if you are still unsure of your colors (or what kind of flowers to use). Many florists specialize in specific events, so finding a florist whose main business is wedding arrangements is to your advantage. My fiancé and I have some really bold colors picked out (orange, teal blue, and yellow) so we have consulted with a florist to make sure the arrangements aren't overwhelming.